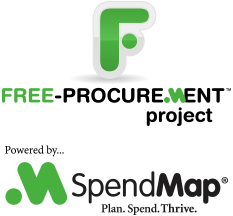 We’re getting ready to roll out the 2016 release of SpendMap, version 14. Don’t miss any of the important announcements – follow our Blog using the field on the right side of this page. You can unsubscribe any time. There’s lots of cool new stuff coming your way soon, including new Excel-based reports that you can add additional fields/columns to, new and improved budget tracking features, attachment capability to complement the internal notes in the Item and Supplier Master Files, and much more.